In April I received word that the Homeschool Review would be doing a review for YWAM Publishing. From a selection of titles, I decided to request a book from the Heroes of History series, Heroes of History- Douglas MacArthur. I found the zip-file method confusing. I was referring to the Unit Study on my computer rather than printing it out and I kept losing the materials on my computer. I finally figured it out and got the files saved where I wanted them. 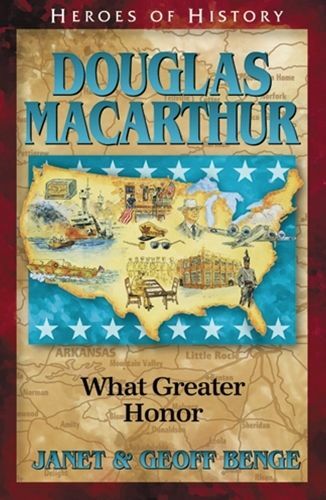 So I dug in and started reading General MacArthur. I had had a vague sense that Gen. MacArthur was someone important in World War II, but as I began reading I figured I must have been confused. Douglas MacArthur was born in 1880. My Dad, who served in World War II, was born in 1925, so MacArthur was 45 years older than my dad. Military personnel can retire after 20 years, so I figured I just had remembered incorrectly. It was fun reading about the life of Douglas MacArthur. Born an Army "brat", he was living in Texas at the beginning of the book, in an era where horses were the primary mode of transportation. Growing up, he had a strong desire to attend West Point, and from there go into the Army as an officer. My almost-adult son plans to attend college to become an officer in the Air Force, so this was hitting very close to home. MacArthur went through hardships and additional years of preparation in order to qualify to get into West Point. His story reminded me of my father-in-law's story, who had to attend an academy-preparatory school after high school in order to qualify to get into the Naval Academy in 1948. I don't think my son would be willing to do extra years of schooling and preparation in order to get into one of the military academies! MacArthur graduated from West Point and began his military career in 1903 and was assigned to the Philippines as a member of the Corps of Engineers. The Corps built an important dock, and they were to seek out local Guerrilla rebels. The second task almost ended badly, as a rebel bullet fired at MacArthur came so close as to leave a hole in his cap! After his time in the Philippines, Douglas had to battle his way back to health from a bad case of malaria, with relapses. I see this is becoming verbose, and I don't want to reveal the entire contents of the book here in this post. 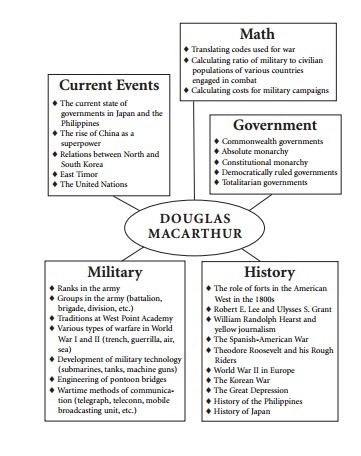 To clarify, though, about my earlier confusion, MacArthur was, indeed, a big deal in World War II, as well as in World War I, not to mention the Korean War! His military career spanned over five decades! So my initial understanding of who he was was not incorrect, it was just incomplete. He was very active, very decorated, and ultimately a 5-star general. 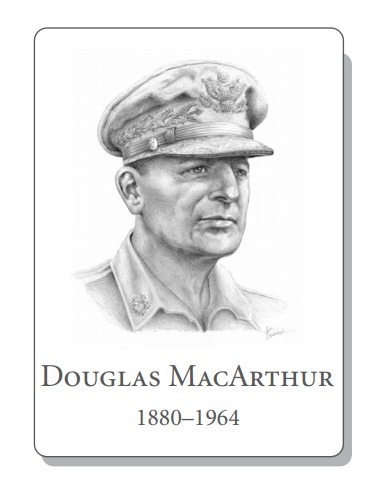 MacArthur's role in World War II in the Philippines brought back to my memory that my World War II veteran step-father fought in the Philippines, no doubt under General MacArthur. Unfortunately he died eleven years ago, so now that I would have better understood his role in the South Pacific campaign, I am not able to ask him about it. For many of my readers, the life of General Douglas MacArthur, 1880 to 1964, is "ancient" history. I remember in my childhood not understanding why World War II was such a "big deal" to my dad. Now, though, I think about 13 years ago and how, even though that is a long time, it still seems like only yesterday. Well, the European campaign of World War II (where my dad served) had ended only 13 years before I was born, and my dad had only been out of the Army for 9 years. For him it was "only yesterday", and for me it was from before I was born. I was alive when MacArthur lived. I was born under the Presidency of Dwight D. Eisenhower. Reading this book was very enlightening and very educational. While this book is written for approximately ages 9-12, I'm glad I got to read it as an adult. Key Quotes has lots of famous quotes from many people and these quotes are suitable for copywork and memorization. Display Corner suggests ways students can collect era-related memorabilia and keepsakes. Chapter Questions, Chapter 3, have their related answers in Appendix B. Student Explorations gives many ideas for essay questions, creative writing, hands-on projects, audio visual projects and so much more, giving real meaning to the term "Unit Study". Community Links talks about finding meaningful field trips to accompany the unit study. Related Themes talks about more ways to expand the unit study. Culminating event... Well, I don't give out spoilers. Appendix A is for more study, and Appendix C was sent as a separate file. 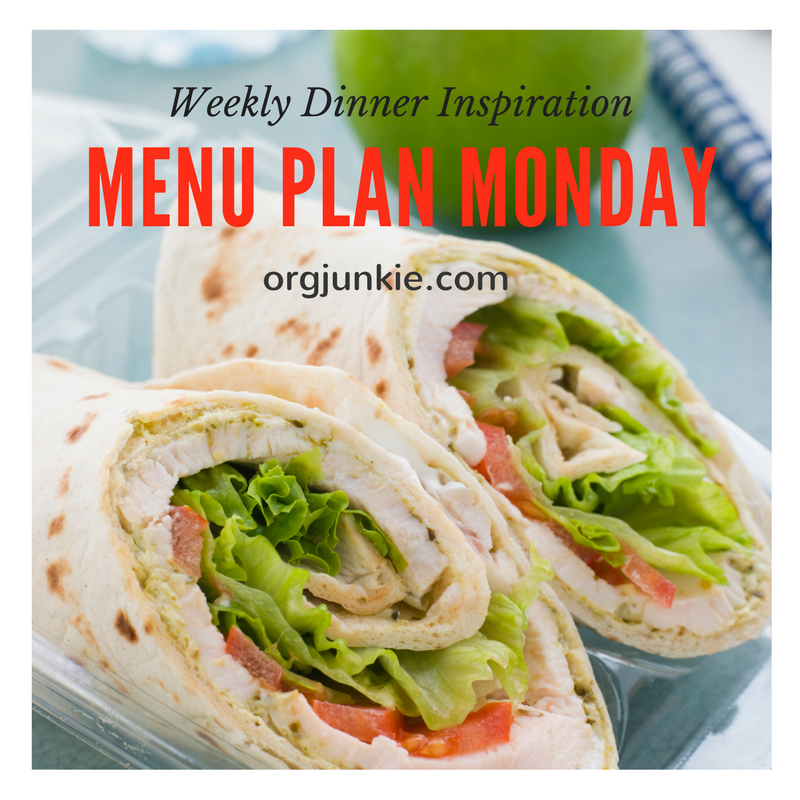 It includes a notebooking page, maps to reproduce, and a timeline. YWAM Biographies are an excellent addition to any home school. They have many, many titles. Other members of The Old Schoolhouse Homeschool Review Crew reviewed this and many other biographies by YWAM.To see other product reviews, please click the button below. In April I learned I would be part of The Typing Coach review. Individuals on this review received a one-year subscription to The Typing Coach Online Typing Course. When I first learned about this vendor as a possible review, I immediately went to the website to learn more. I was intrigued by this opportunity to have access to this program. When I was in high school, I took typing class two years in a row. Not everyone did this back then, but I was on a study track to be a secretary (I also took two years of shorthand!). As a parent, homeschooling my children in a digital age, I have been painfully aware of the typing method I have seen my children using. They have never taken any typing courses, and have become proficient with some odd form of two-to-four finger typing, looking at the keys. The Typing Coach is aware of this shortcoming in the education of today’s students. It seems they are being thrown in front of a keyboard and being required to type without any actual typing instruction. This is resulting in students who slowly two-finger type themselves through essays and reports as best they can in a manner that is not quick or proficient. Eventually they graduate high school to become college students who two-finger type their way through college assignments and term papers, or they attempt to go out into the job market and try to compete for jobs against other individuals who may not be so slow. This is a very real difficulty with today’s students. Hoping my son would benefit from this program, I requested to be part of the review. I received my email with instructions on how to set up my account. After I got our account set up, I received a “Thank You” email with a link to a “Thank You” page with links to the Main Page and the Log In page. The program always logs me out if I don’t log in on my own, so I always end up on the log in page anyway! Once logged in, you are directed to a page with instructions labeled “Making the Complicated Simple”. From this page the student has access to all the lessons. 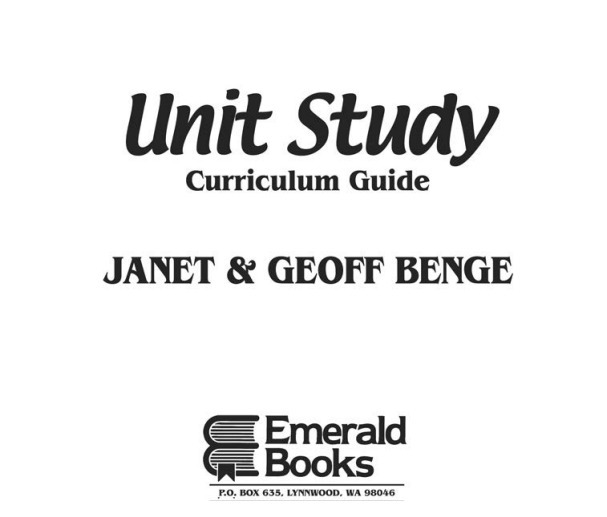 Beginning with the introduction, the instructions are laid out for two methods: 1) the student is going through the material independently, or 2) the student is part of a class with a teacher. Theoretically my son is going through with me as the teacher. As the teacher I began by watching an introductory video on how the program works. There are papers to print out so the student can type through the lessons without looking at the screen. My son was right at the end of some intense school courses, and I quickly realized I needed to be the student for this review. My son types so fast with his four fingers that it is going to be hard to get him to be willing to learn how to touch type anyway! I still hope I can convince him, but for now I am the student. Each lesson is taught through instructional videos with optional audio lessons. I liked using ear-buds to listen to help me focus. I found the course to be well laid out. Initially the student tests to find out how fast he or she is typing at the beginning of the class. This will be compared to a test at the end of the course to hopefully show progress (increased speed) at the end of the course. I was frustrated by my results. I have clearly become accustomed to looking at the keys and the screen while I type. In addition, the slightest thing can throw off your speed and accuracy, such as an over-long fingernail. After the initial speed base-line test the student is the student is taught the importance of posture. Already this is a difficulty. I do most of my keyboarding sitting in a recliner. To keyboard at the dining room table is not comfortable because it is too high. 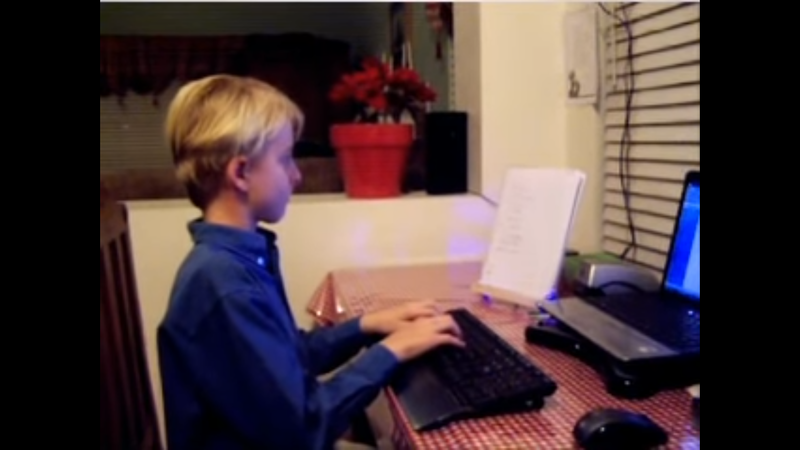 When I was in high school we had special typing desks that were ergonomically the right height for typing. My kitchen desk used to have a keyboard desk that was below the desk, but it broke. I have no solution. I had to move on. Next the student is introduced to the home row, taught how to locate it by touch, which key is under each of the four fingers on the left and right hand, etc. The student is given lines to type and practice before moving on. It is all laid out perfectly, and just the way I was taught. The program introduces a few letters, gives practice, gives a few more letters, a little more practice, etc. Using this method the student first learns home row, practices, learns top row, practices, learns bottom row, and lastly learns the number. It is made very clear the student shouldn't move on until the student has achieved mastery. Ever and always the student is encouraged to practice, practice, practice. Since the student should not move on before mastery, the time require for the course will vary with the student. As we have only had the course for about five weeks, few review students will have completed the course for the review. I am not a good example as I already knew how to touch type correctly. Some students might take nine weeks to complete one lesson per week (Intro plus eight lessons), but some will take more time and some will take less time. I found this course to be just what I was hoping for. I highly recommend the course paperwork, when printed out, be put into a 3-ring binder to keep them organized. I didn't do that yet and my papers are now disorganized. 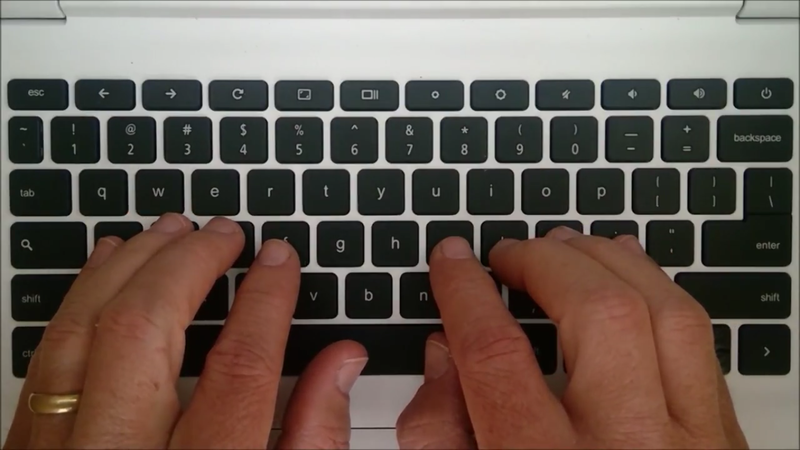 With that as my only recommendation to improve my experience, I highly recommend to you The Typing Coach Online Typing Course. I think you'll like it. Other Members of the Homeschool Review Crew also reviewed this product. To see more reviews of The Typing Coach please click the button below. In mid-April I learned I would be reviewing a product for The Pencil Grip, Inc.
Their new product, which I've been able to try out, is Thin Stix 6pk of Classic Colors. I was interested in trying out Thin Stix because I previously got to try out I had already tried out Kwik Stix 12 pack. I liked the idea of trying out a thinner version. 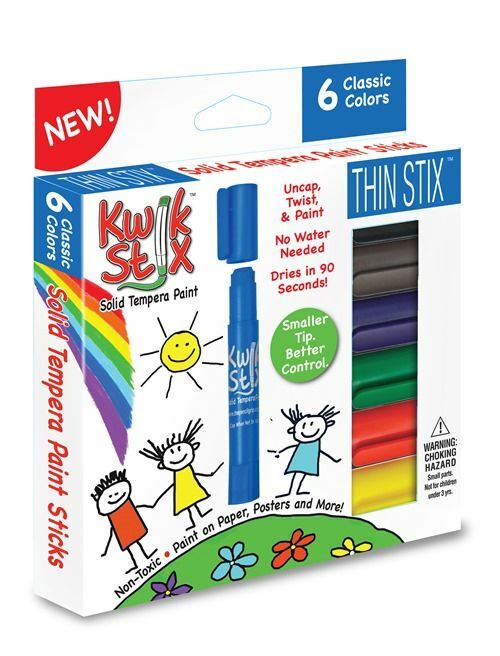 The Thin Stix 6-Pack comes with green, blue, red, yellow, black and brown. Initially I thought I'd use Thin Stix for adult coloring books. When they arrived, though, I could see they really aren't thin enough for that type of use, so I brain stormed to figure out how I would use them. I had some white lunch bags in the cabinet, and for fun my son used Thin Stix and had some fun decorating. I remembered some projects in an art curriculum I reviewed recently, so I went back to the website and looked at possible projects. I settled on a winter cabin scene that looked like I could manage it with the colors available in the Thin Stix six pack. The instructions for the project called for two shades of blue (I only have one), pink (I have red), orange-yellow (I have yellow), and white (which I don't have). I completed the project using the colors I have and allowed the paper color to remain to look like the white snow. I think it turned out very nicely. I created some orange effect by shading yellow, red, then yellow. I tried blending with my finger, like pastels, but that didn't work well so I left it layered. 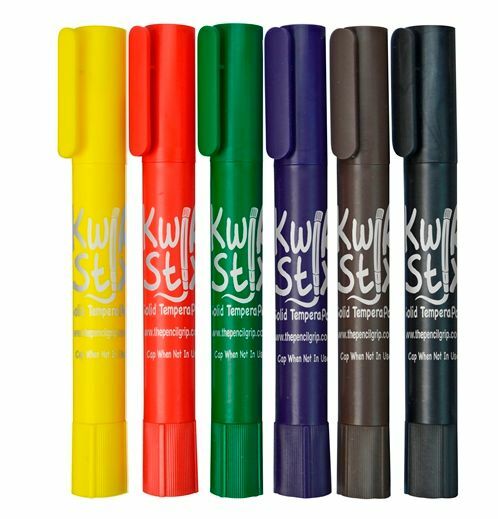 Kwik Stix 6-count of metalic colors. My son is older (soon starting his senior year). He's not much into art or doodling, but thought Thin Stix were a nice diversion. In my opinion this product is a best fit for grammar age children, with room to flex from pre-school to adult. It is a neat item for art work, giving a tempera paint outcome with and easy to handle, crayon-type delivery. All these features add up to a winner product. Even with an older child, I don't mind adding these to my art supply bin to pull out occasionally when someone just wants to doodle or do some art. I really think you will like Thin Stix for your budding artists, so I hope you will consider giving them a try. They are not only available through Amazon.com but are also now sold at Toys-R-Us. Other members of the Homeschool Review Crew also reviewed Thin Stix, and some are having Thin Stix Giveaways! To see other product reviews, please click the button below.